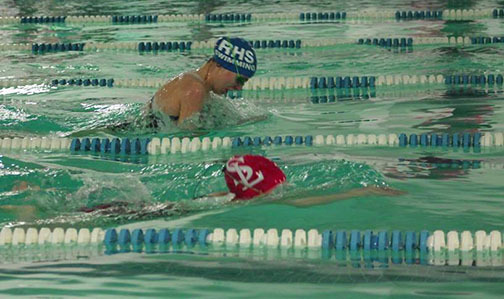 The RHS swim team swam at Randolph High School yesterday in their final meet of the season. The girls were successful, beating Randolph with a score of 83 to 50, and the boys were defeated 86 to 40. This victory marked the first win for the team this season. 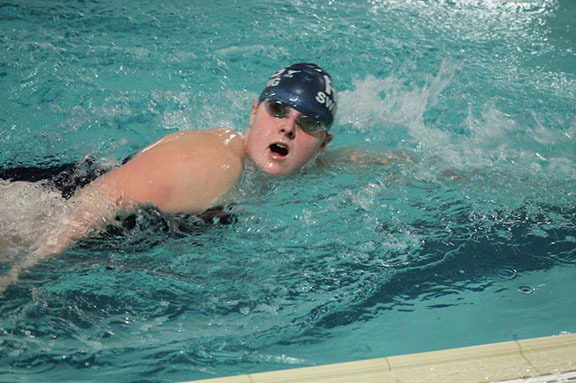 There were a significant number of best times at the meet, particularly those achieved by junior Taylor Reis and senior Kylie Langhoff, who each shaved approximately thirty seconds off their times for the 500 freestyle. The team will continue their practices at the YMCA in Hanover well into February in hopes of improving despite an end to their competition schedule. Practices will conclude after their annual “Bring a Friend to Swim Night” on Tuesday, February 4th, in which swimmers bring interested peers in hopes of sparking increased interest for the sport.